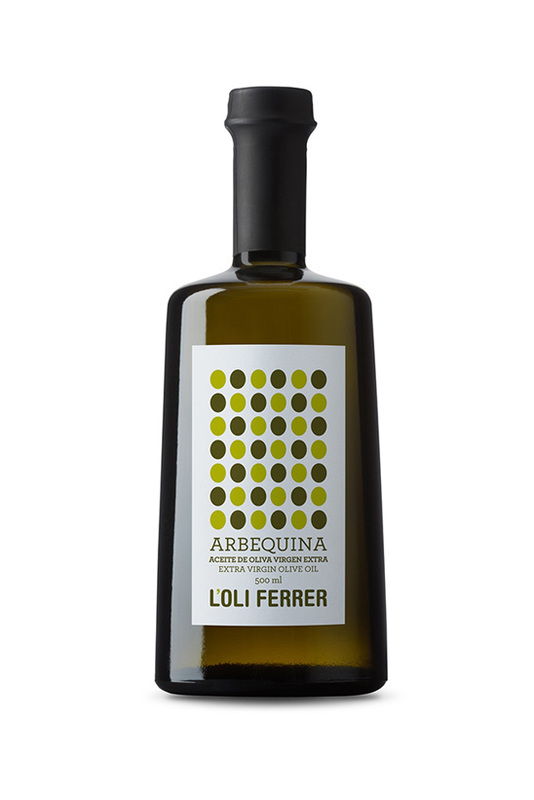 L’OLI FERRER Extra virgin Arbequina olive oil (E.V.O.O) is a major health food of the Mediterranean diet, made from selected Arbequina olives in the area of Siurana that are picked at the optimal time of maturity in november to develop a gourmet olive oil of exceptional quality, with the characteristics of mature fruit with fresh aromatics and softness in the mouth. It is an extra virgin Arbequina olive oil, obtained from first cold pressed olives by mechanical procedures which do not modify its natural composition and preserve the olive oil benefits. It is 100% extra virgin olive oil and does not contain any food additive or preservatives. 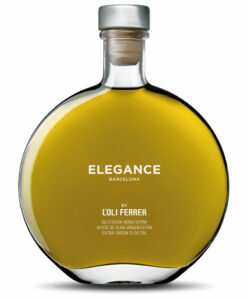 A harmonious and very aromatic olive oil, intense golden color, bright and very clean, with delicate taste that transmits its aromatic characters and flavour to the food. The fruity, mature olive is clearly recognisable, reminding one of fresh fruits like green apples, freshly cut grass tomatoes and almonds in the mouth and in the nose. It leaves a sweet taste in the mouth with a slightly pleasant bitter spicy trace.The maximum acidity is less than 0.2º. Recommended for use in raw, salads, grilled fish, vegetables, cold soups, pasta, salad dressings, sauces, bread and desserts. Available in glass bottle formats of 500 ml. Protected from light and heat.